15 sheets of tabloid sized paper with three vertical elements. 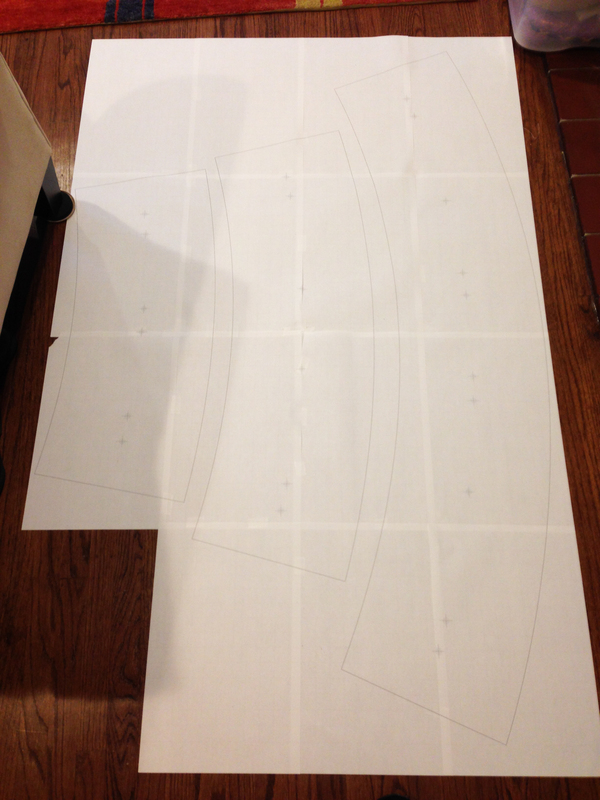 Three templates now cut out and taped to a single sheet of 1/2 inch plywood. 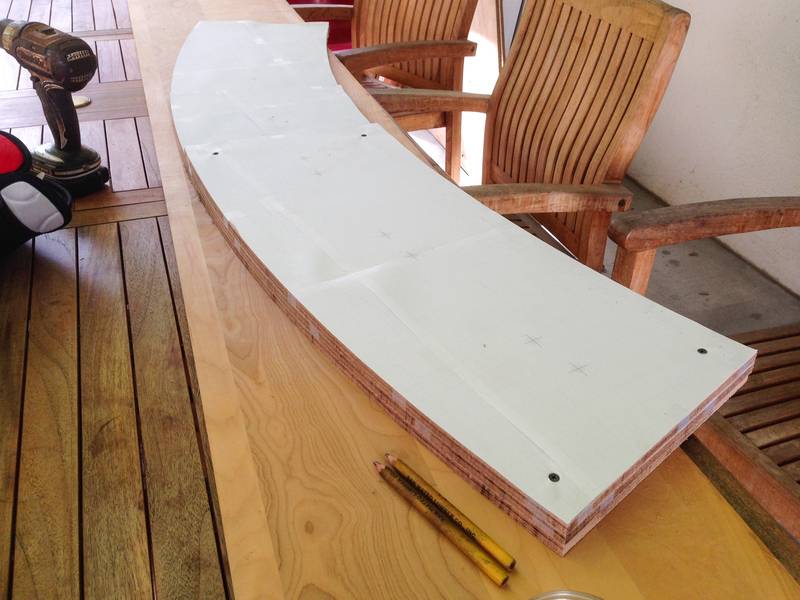 Template has been cut carefully on the band saw. Next I clean up with a file and sand paper. 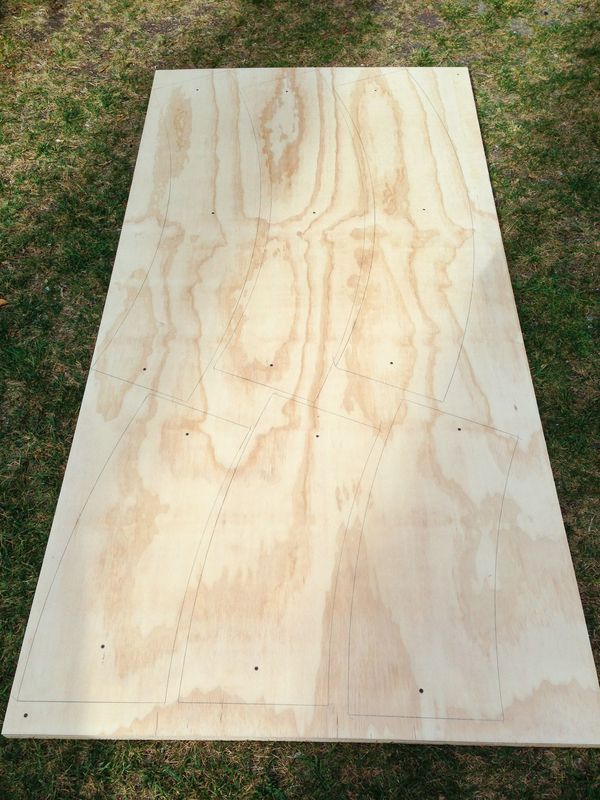 Using the finalized plywood template I trace all the shapes I can onto the top piece of 3 stacked sheets of plywood. 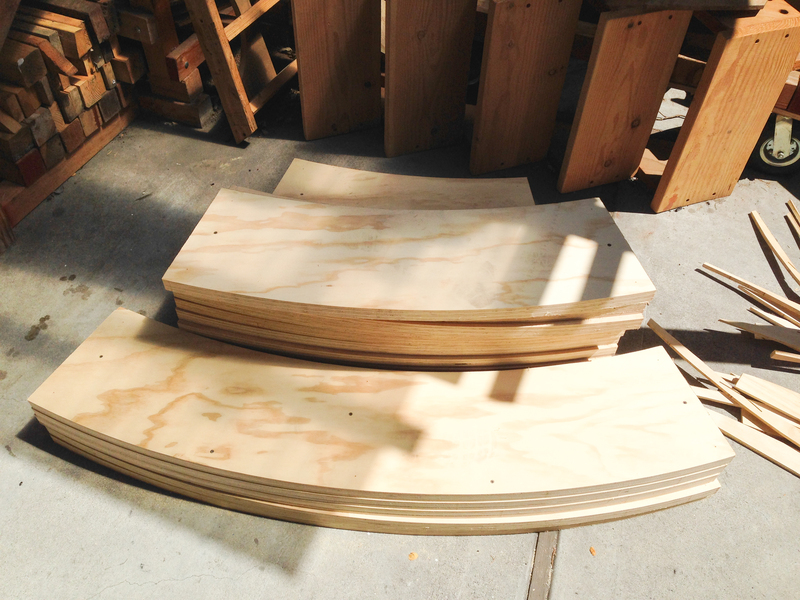 Rough cuts are made quickly with the circular saw. 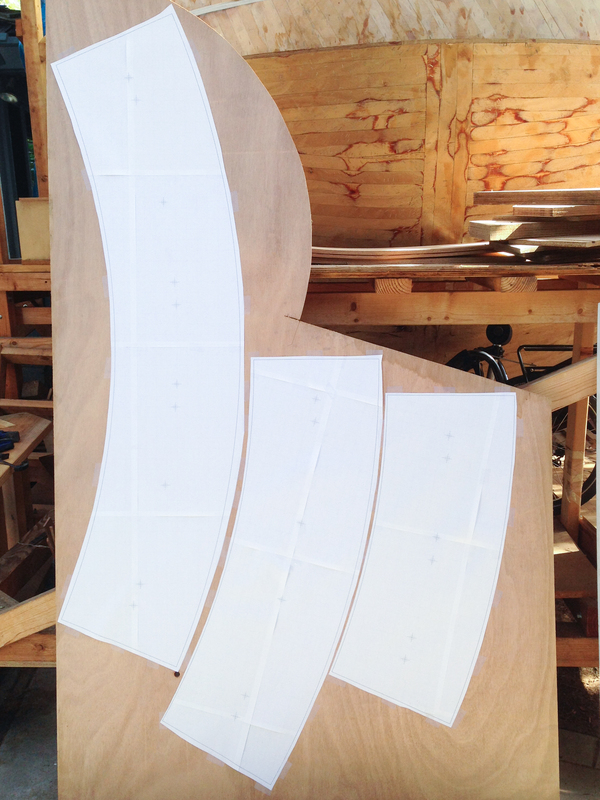 The results are triple-stacked blanks that are much easier to control on the band saw. 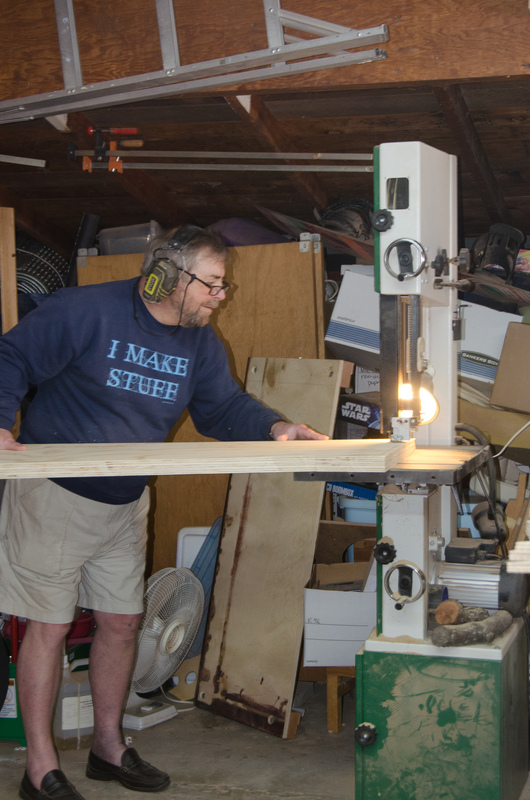 My Dad helps on the band saw during his visit, cutting just to the pencil line. 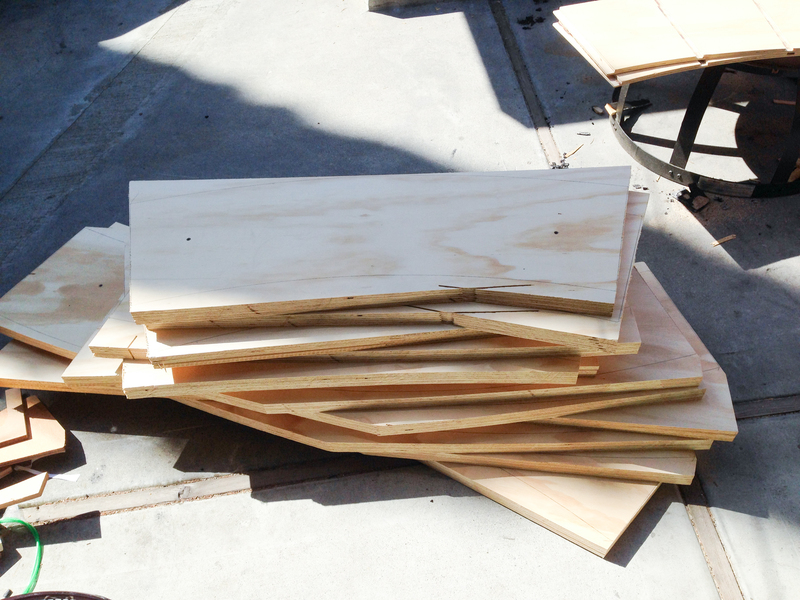 After screwing the template onto the top of the rough cut elements, everything is cleaned up on the router table. ← Is it Crazy to Build a 16 Foot Tall Wooden Donut? I like the design of your. I think I’ll made something similar. Thanks for the idea! Good luck Donald. Let me know if I can be helpful. It is a good idea.What do I need to be able to do so?